The evidence just keeps on coming: the work we have done in Zambia, to transform access to the internationally recommended treatment for diarrhoea, will be self-sustaining. Click here for more blog posts on this self-sustaining theme. 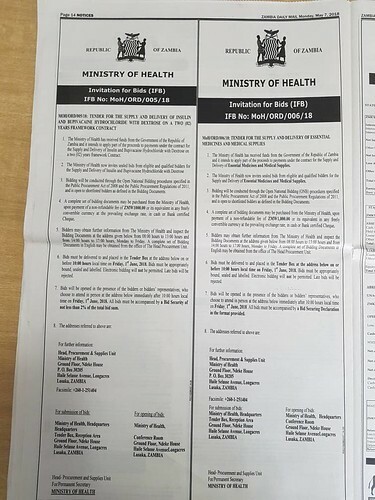 The latest evidence emerged last Monday (7-May-18) when this notice (on the right) was published in Zambia’s national newspapers. It is a tender for the supply of essential medicines to the government. Item #114 was for 250,000 ORS/Zinc co-packs. This is a huge milestone. It puts Zambia among only 2-3 other governments in the world that have ever procured co-packaged ORS and Zinc for their citizens. 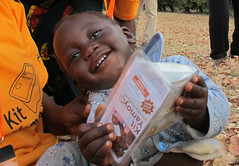 This single order will save hundreds of lives and will reduce stunting in many more children. 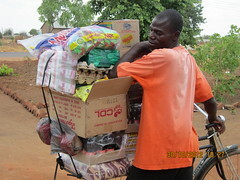 It also provides further evidence that the work ColaLife has catalysed in Zambia will be self-sustaining. This will be a 100% Zambian endeavour from the issuing of the procurement notice, through fulfilment and distribution, to dispensing in public sector clinics. Many local organisations have made this happen but key among them are Keepers Zambia Foundation (KZF), Pharmanova, Medical Stores Limited, ZAMRA and the Ministry of Health (MoH). They have worked tirelessly for 6 years developing, testing and promoting Kit Yamoyo in both its commercial and public sector formats. Our two projects in Zambia, funded by British UK AID* and our supporters, played a crucial role: the KYTS-LUSAKA project, working with retailers and government health centres and collecting evidence on the impact of supplying an ORS and Zinc co-pack in the private sector, and the KYTS-ACE project, part of the Scaling Up Nutrition Programme (SUN) which worked mainly through government clinics in remote/rural areas. When project supplies ended, early in 2018, a generous gap-filling grant from the Isenberg Family Charitable Foundation provided 6 months’ supply, to ensure health centre staff could continue their new practice of prescribing co-packaged ORS and Zinc. In Lusaka Province, health workers from the front line right up to Ministry level were able to see first hand the impact of referring patients to local small retailers to buy Kit Yamoyo – an effective and easy-to-use kit for home use. Many reported that because carers could get a kit close to home, cases of severely dehydrated children presenting at the clinics went down. 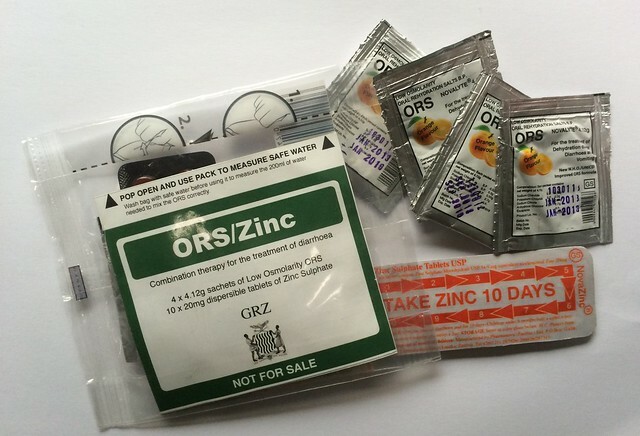 SUN procured, on behalf of MoH, the first 452,000 GRZ ORS/Zinc co-packs (known, even in the public sector, as “Kit Yamoyo”). This created the opportunity for the manufacturer to re-brand and produce the commercial Kit Yamoyo for the public sector. Both projects trained health workers and raised awareness among caregivers of ORS and Zinc as the recommended treatment for diarrhoea. It generated the evidence of impact which has been reported here: We’ve got designs on change: 1 – Findings from our endline household survey (KYTS-ACE) and here More designs on change: What do health and nutrition staff think? Thank you to everybody for your support. This is something to celebrate! * The Scaling Up Nutrition Programme in Zambia was funded by DfID, Irish Aid and the Swedish Government; our project, KYTS-ACE was also co-funded by ColaLife, through our GSK/Save the Children Healthcare Innovation Award, the Isenberg Family Charitable Foundation, by Norr Company and by our many individual supporters who help us to distribute vouchers for kits. KYTS-LUSAKA was also funded by DfID’s UK Aid Direct, with co-funding from the same ColaLife sources. You can help co-fund us here.